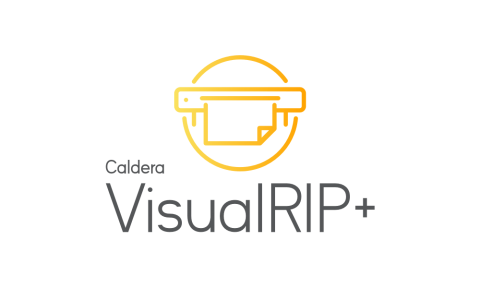 We’ve changed the parameters to transform your RIP toolbox into a new intelligent platform for production. 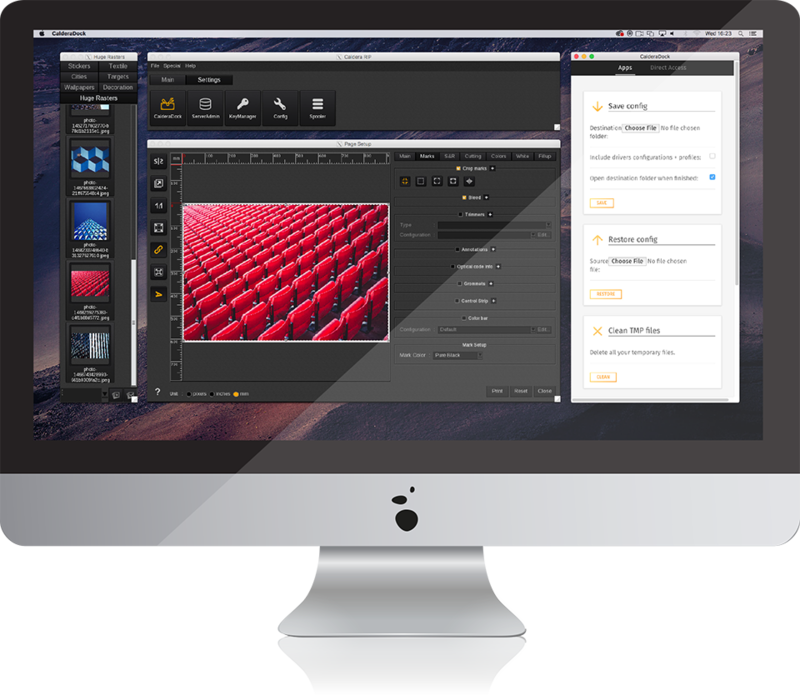 By connecting the dots in the print shops, V12 will deliver faster processing, better colors and a more convenient overall user experience. What’s different about Version 12? For this latest version of our award-winning RIP software, we’ve changed the emphasis from individual features to creating a powerful, coherent and easier-to-use printing platform. There are new tools to give users quicker access to what they need and new technologies have been introduced to accelerate throughput, reduce costs and boost profitability. We’ve extended the range of applications included in this new version to embrace textile printing and vehicle wraps, while the new Digital Licenses system opens the door to running the software on Windows Virtualization – so more users will be able to achieve a wider range of applications. 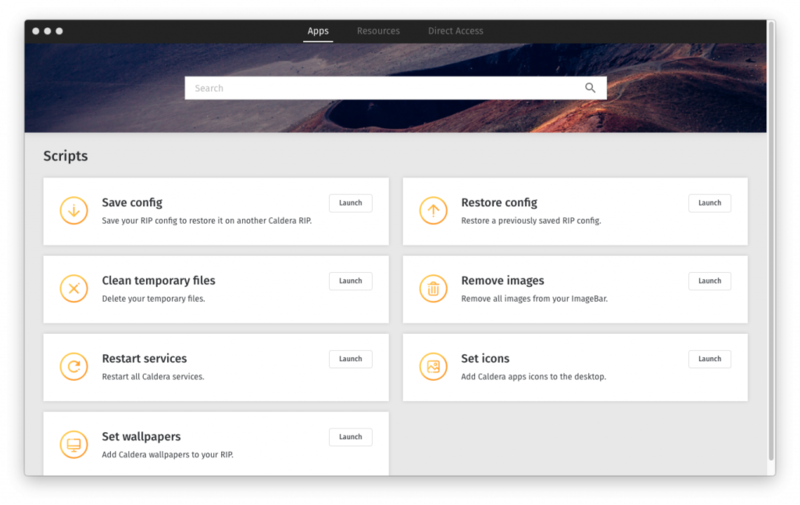 Caldera V12 is the first RIP software to include Adobe PDF Print Engine 5. This is the foundation for the next generation of PDF print workflows – it accurately renders PDF designs, producing reliable reproduction on press with full fidelity to the creator’s intent. APPE 5 raises the bar on both workflow flexibility and reproduction reliability, driving high-performance, PDF-native rendering for the full range of job types, from simple to more sophisticated. It also integrates end-to-end print workflows built with Adobe applications such as InDesign, Illustrator, Photoshop and Acrobat. The new Digital Licensing System gives access to new products and faster features more easily. You’ll be able to migrate your licenses onto other sites and computer stations – and with the Caldera license server now running on Windows, there’s no need now to have a Linux or Mac box on full Windows environments. This means that users can utilize Linux Virtual Machines to transparently run the RIP, while using your Windows host or another Windows computer to run the license server, either via a dongle or a software license. This new pipeline has been designed for huge input/output throughputs. You’ll achieve a 10 percent increase in global acceleration on output, four times the speed on multi-layers PSD and seven times faster processing of huge raster input files. Caldera High Dynamic Linearization increases linearization accuracy by 10 percent in difficult conditions. 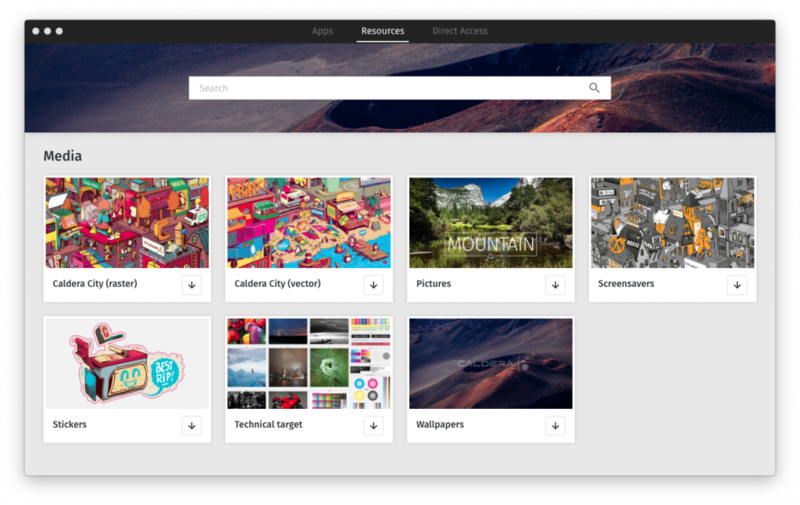 Caldera puts the user experience at the heart of every product we develop – and V12 is no exception. 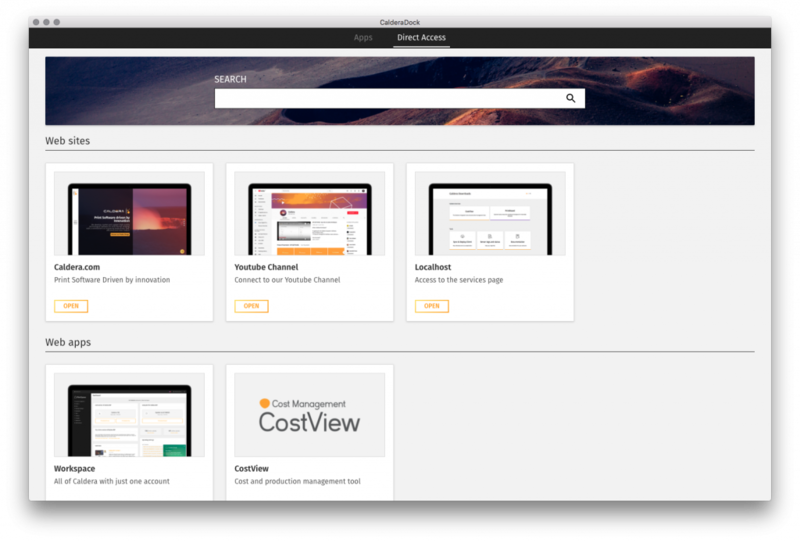 We’ve made sure that with this new version you’ll be able to access what you need faster using Caldera Workspace, Digital Licenses and Caldera Dock. We’ve included a range of new services to make your day-to-day operations easier and we’ve improved usability. CalderaDock is a new RIP module that allows users to easily access all the local and remote apps. It also includes auto-updates, easy migration and the ability to backup and reset your station. 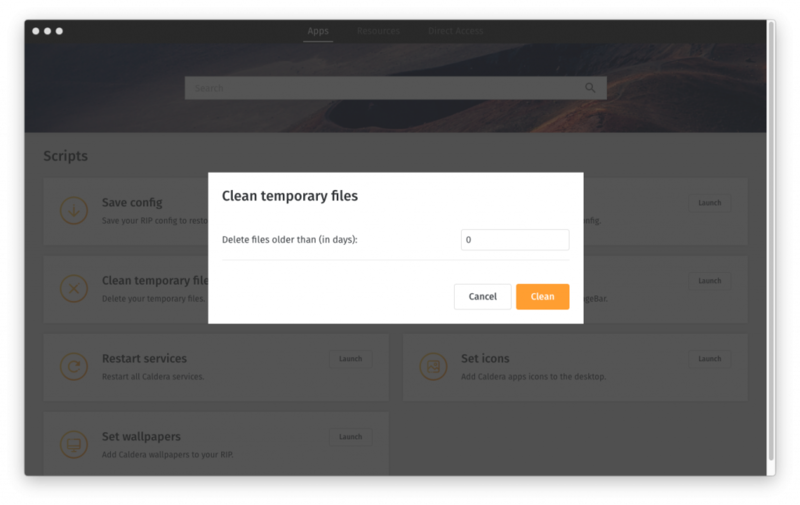 You’ll be able to access all your apps and web tools from one interface, save and restore your RIP configurations, clean-up your temporary files and restart your Caldera services.